This badge holder is horizontal and comes with a pin and clip to attach any ID card or badge to a lanyard or article of clothing! It is slightly larger than standard ID card size to accommodate a name tag or a larger ID badge. This order is economically priced in a pack of 100. 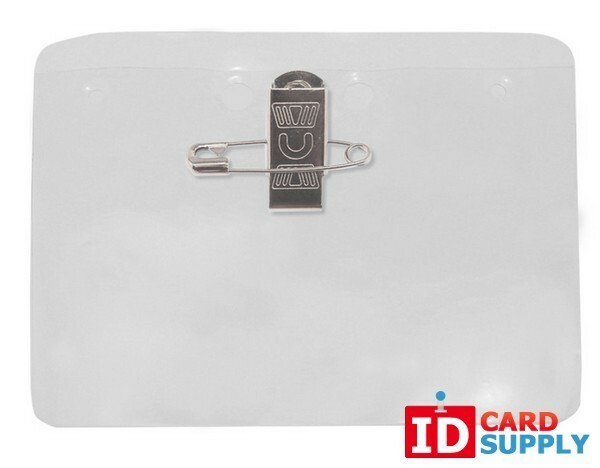 We have the lowest prices on the market at IDCardSupply, so place your order today!